This guy is on his seventh kid…and he’s worried about the Government tracking them? This from the New York Times today….. 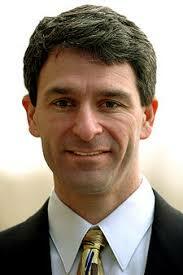 Backing Away: Ken Cuccinelli, Virginia’s Republican attorney general, looks to be walking back his statement that it “doesn’t seem beyond the realm of possibility” that Mr. Obama was born outside the United States. On Monday, Not Larry Sabato, a blog that concentrates on Virginia politics, posted audio of an exchange where Mr. Cuccinelli discussed how the president’s place of birth could be legally challenged. The attorney general has since released a statement saying that he had been answering a hypothetical question and that he “absolutely” believed that the president had been born in America. Is Mike Huckabee NOT running in 2012??? I wonder if the clemency thing had anything to do with that statement…or he’s just afraid of what Obama could do to him? For you Republican Rudy Giuliani fans… remember this? Rudy Giuliani was pro-choice, and wasn’t against gay marriage ( and he dressed in drag more than once)…..
Be careful what you wish for……..
Sara Palin explains to Oprah…She would still invite her grandson’s dad to Thanksgiving dinner….. The Republican ex-Governor of Alaska and Vice-Presidential candidate, Sara Palin, will be on with Oprah Winfrey on November 16th.…. She writes on Facebook that the sit down with Oprah was good, and she enjoyed it……. Ah….for everyone’s information…..Srara Palin’s book ‘Going Rogue’ will be released the day before the show airs…..
Sara Palin explains to Oprah…She would still invite her grandson's dad to Thanksgiving dinner…..
GOP wins Virginia as expected……. McDonnell easily beats Deeds in the Virginia statehouse race………. New takeoff on Mac vs PC ad campaign…Democrat vs Republican political ad……. He, he, he……here’s the Democrat vs Republican ad video……courtesy of the people at Politicalwire……it’s funny!